10.30 – 11.15 - Outcomes and findings of EACEA funded project ‘Citizens' Assemblies for the Renewal of Europe’ – Dr James Organ, University of Liverpool, and project partners. Workshop 1 – ‘Design and facilitation of Citizens' Assemblies’. This workshop will be led by Kaela Scott and Paola Pierri. Kaela is from Involve, who are the leading public participation charity. Paola is from WeMove.EU, which is a leading citizens’ movement that campaigns for citizen-led democracy across the EU. This workshop will be an opportunity to discuss and learn about how to design and facilitate different forms of Citizens' Assembly with feedback from the Citizens' Assembly for the Renewal of Europe project co-led by WeMove, and the Citizens' Assemblies organised by Involve, such as last year’s Brexit Citizens' Assembly and the recent Citizens' Assembly for Social Care. Workshop 2 – ‘Online deliberation as part of a Citizens' Assembly’. This will be led by Tudor Brabatan and Elisa Lironi (tbc). Tudor is from DeClic, which is one of the leading civil society action groups in Romania. Elisa is from the European Citizens Action Group (ECAS), which is a Brussels based not-for profit organisation that supports and develops mechanisms to increase citizen democratic participation. Tudor and Elisa are both experts in the field of online deliberation and democratic crowdsourcing and the workshop will be an opportunity to discuss the opportunities and challenges to developing deliberation online; including learning from the Citizens' Assembly for the Renewal of Europe project that DeClic is a partner in. 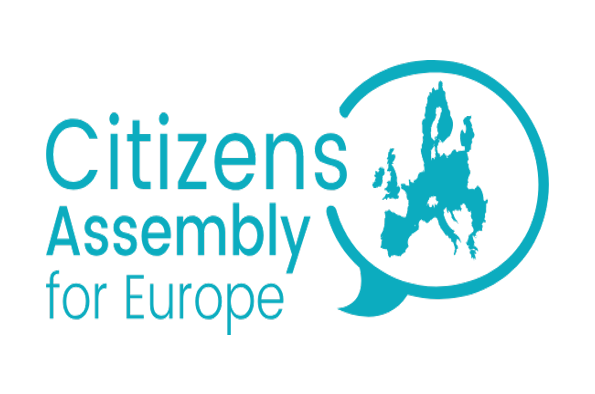 Workshop 3 – ‘How to research Citizens' Assemblies’. This will be led by Prof. Graham Smith and Dr Clodagh Harris. Graham is Director of the Centre for the Study of Democracy at the University of Westminster. Clodagh is senior Lecturer (Associate Professor) in the Department of Government & Politics, University College Cork. They are leading experts in deliberative democracy and participatory democracy, and have organised and researched numerous projects using deliberative methods, such as the Irish Convention on the Constitution, and the Brexit Citizens' Assembly. This workshop will explore some of the different methodological approaches that have been adopted in Citizens' Assemblies and mini-publics research. It will focus on 'internal' and 'external' strategies of analysis; and what happens in the Citizens' Assembly and the relationship of the Citizens' Assembly to the broader political system.